These images were taken the same misty morning I captured the March desktop calendar picture. 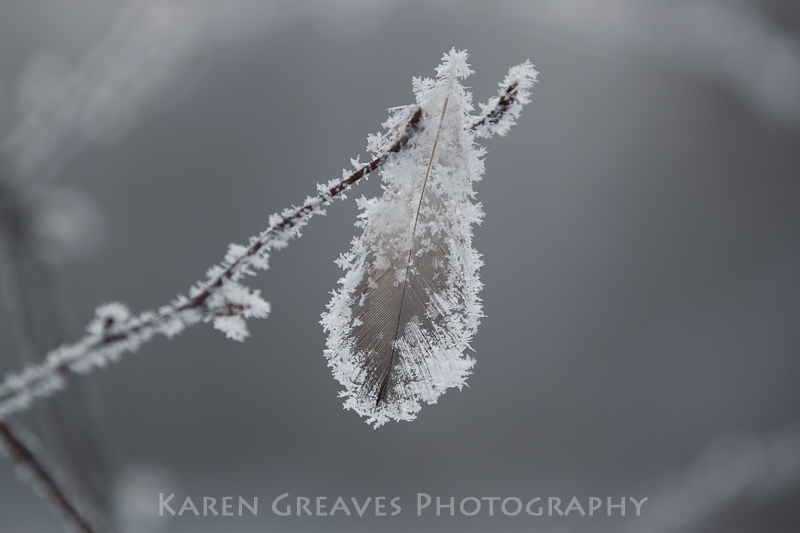 I had folded up my tripod, packed away the camera and turned to head home when I spotted this delicate feather hanging by a hair in the birch branch. I held my breath as the slight movement of air was threatening to dislodge it before I could set up for some shots. 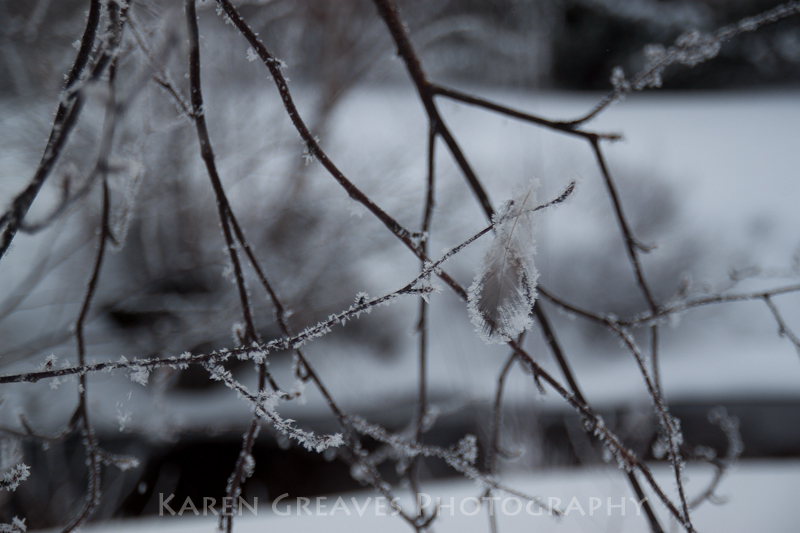 The cloud cover broke just enough to grace the pure white crystals with a gentle glow. amazing closeup shot! you should enter that in a photo contest! Karen, what an opportunity you had! And, what a good shot you got! Lovely!